New PR approach capitalizes on “content is king” by providing useful information to convey a company’s message and increase the bottom line. How about credibility? Name recognition isn’t enough. Your customers must trust your integrity and expertise to provide a solution to their problem. In response, some companies are turning to Targeted Content Marketing ─ a developing discipline within the field of public relations ─ in order to close the gap between recognition and closed sales. While content marketing can be presented in a variety of formats ─ including trade magazines, websites, newsletters and even white papers ─ an emphasis on the word “targeted” means that the content is only offered to the precise media outlets that speak directly to your potential customers. As a result, marketing dollars are not wasted with a shotgun approach. “We had done SEO, pay-per-click and inside telemarketing without much result,” recalls Brando. “Once we started using Rankin PR ─ a public relations company that utilizes targeted content marketing (rankinpr.com) ─ things quickly turned around. The stories they wrote, primarily case histories, got straight to the point by demonstrating that our service solves customer problems. Soon, the calls for more information came rolling in. Ironically, the success of legitimate targeted content marketing breathes new life into traditional PR publicity ─ and that includes print media and even television and radio ─ through its symbiotic relationship with today’s internet based sales channel. By: Dr. David Rizzo is a freelance writer and author of several published books. 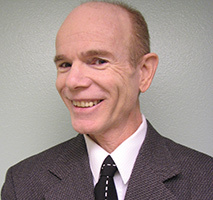 He is from Phoenix, AZ and has over 30 years of experience in marketing, public relations and business development.